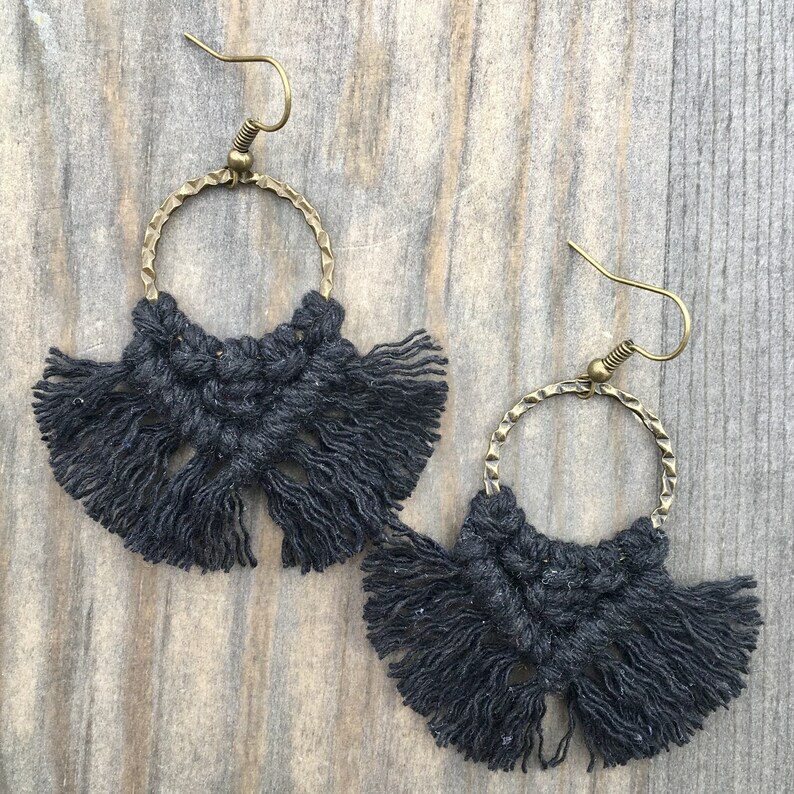 These beautiful micro-macrame earrings were hand knotted with black colored cotton cord. These are surprisingly lightweight to wear and have nickel free antique bronze plated earring wires. Each earring is 1 1/2 inches long and 1 1/2 inches wide. Micro-Macrame Earrings. Beaded Earrings. Macrame Earrings. Marigold Knotted Earrings. Boho Fashion. Statement Jewelry. Boutique Fashion.